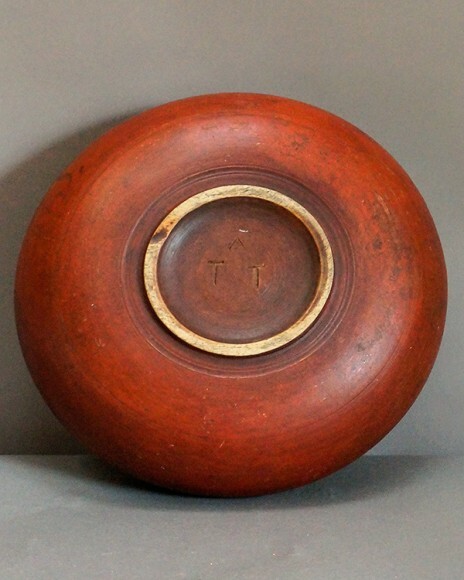 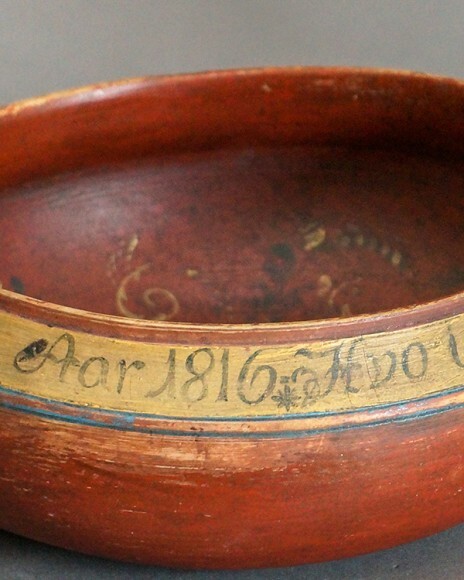 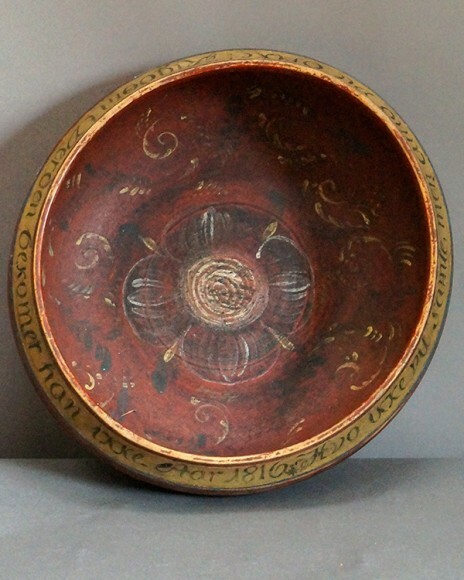 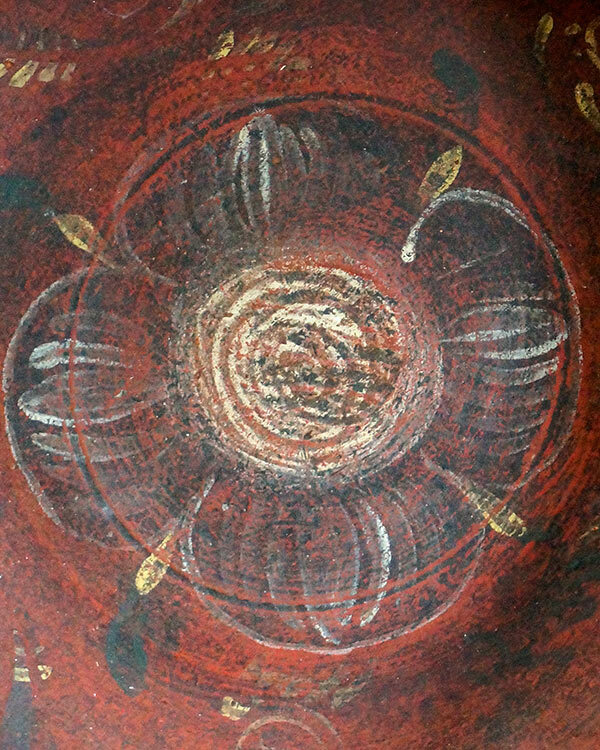 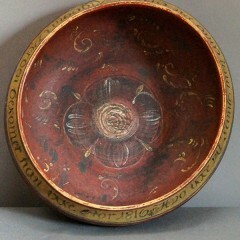 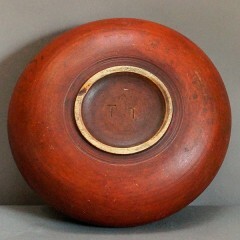 Turned wooden drinking bowl from Denmark painted a rich salmon and dated 1816. 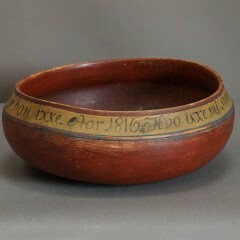 Around the rim is inscribed a verse translated as “He will not gather, but always drink! 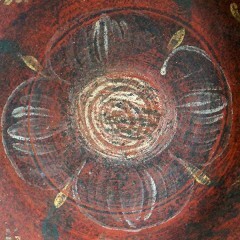 Wealth in the world he will not have. 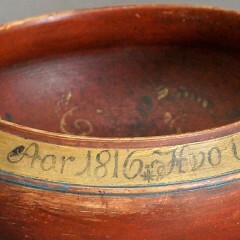 Year 1816.” The interior is decorated with traditional rosemaling designs.